If you're ever in need of a super quick and easy way to bring some instant Christmas cheer to a room, try twisting up some of these basic little pipe-cleaner candy cane decorations. Adults can whip these up in a matter of seconds, but you will find that depending on the age of the child and how advanced their fine-motor skills are, they may take a little longer or need a bit of assistance. You'll need some pipe-cleaners (chenille sticks) and scissors. We make 2 candy canes from each pair of pipe-cleaners and to make it easier, cut your pipe-cleaners in half first. Using half of red pipe-cleaner and half of a white pipe-cleaner, twist the 2 colours together. Once twisted together, bend one end down for the top of the candy cane. Once made they are ready to hang. 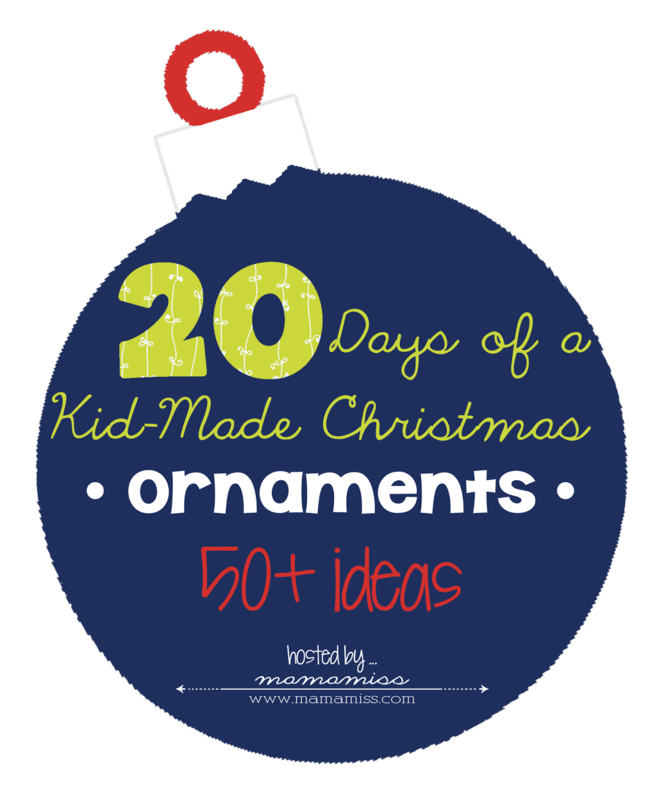 This post is part of the 20 Days of a Kid-Made Christmas series. The other 2 blogs sharing kid-made decorations today are Library Adventure and Something 2 Offer – I wonder what their kids have made? 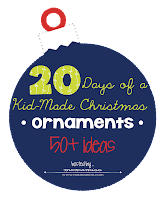 You can also hop over to the special Kid-Made Christmas Pinterest board to see all the ornaments from the series as well as lots of other fun Christmas crafts for kids. And if you’re a blogger making some homemade, child-made decorations, come and join in with the party! Link up your idea over at Mama Miss, where you’ll also find more great ideas to try with your little ones. Those really brighten up a tree! Great job!